Law Society urges de-regulation caution 20 December, 2016- Law Society warns that a desire for greater competition and deregulation in legal services sector must not be allowed to undermine consumer protection. Scots Issue Cyber Security Warning 27 October, 2016- Law Society of Scotland issues warning that cyber security is one of the biggest issues facing solicitors. SRA issues investment schemes warning 27 September, 2016- SRA issues warning to solicitors about the risks of involvement in high-yield investment schemes following reports of law firms being linked to potentially fraudulent incidents where clients have lost substantial amounts of money. LSB publishes regulatory framework proposals 13 September, 2016- LSB publishes its vision for legislative reform of the regulatory framework for legal services in England and Wales. Law Society Rejects LSCP Fee Information Proposal 26 August, 2016- Law Society rejects call from the Legal Services Consumer Panel for measures to force law firms to publish the average cost of services. CMA Publishes Interim Report 8 August, 2016- CMA publishes interim report setting out its initial findings and emerging views into the provision of legal services in England and Wales. 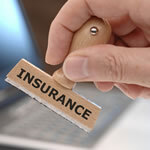 Review of restrictions on choice of PII insurer 16 July, 2016- LSB publishes findings of its thematic review of restrictions on choice of insurer including the independent advice from the Regulatory Policy Institute (RPI). LSB research reveals extent of unregulated providers market shares 28 June, 2016- The Legal Services Board has today published its unregulated providers research project findings which significantly advances understanding of unregulated provision of legal services. SRA publishes PC fees 28 June, 2016- SRA publish this year's initial fees calculator to give firms an idea of their costs for practising in 2016/17. McKenzie Friends in family courts to come under microscope 17 June, 2016- The activities of unregulated, untrained and uninsured McKenzie Friends in the family courts is to come under the microscope with the commissioning of field research by the Bar Council into how they handle court work. SRA highlights importance of wellbeing for solicitors 31 May, 2016- SRA launches a package of support to help solicitors who may be suffering in silence. Anti-corruption statement from professional bodies across the UK 13 May, 2016- Professional bodies spanning law and accountancy pledged to work to tackle bribery, corruption, tax-evasion, money laundering and the financing of international terrorism. Insurance change would increase flexibility for firms 26 April, 2016- Solicitors Regulation Authority proposes change to the Participating Insurers Agreement which would make it is easier for firms to switch their regulator and thus improve competition in the market. 6 months to training change 22 April, 2016- With less than six months to go until the old CPD requirements no longer apply, the SRA is reminding solicitors and law firms to get ready for the new approach to continuing competence. Barristers predict an increase in public access work 20 April, 2016- new research indicates public access barristers are expecting the volume of work obtained directly from clients to increase over the next few years as a result of the public access scheme which allows consumers to use barristers directly. LSB states the obvious! 10 April, 2016- New research published by the Legal Services Board has shown that, as could probably have been expected, shopping around for legal services can save the consumer money. SRA issues personal injury fraud warning 22 March, 2016- SRA issues warning notice on potential fraud in personal injury cases and reminding the profession of its obligations. Public Support for Independent Regulation 24 February, 2016- SRA publishes details of new research which, it says, shows strong public support for Treasury proposals to fully separate legal regulators from professional bodies. LSB report on in-house regulation 14 February, 2016- LSB publishes statement of principles it will have regard to when making statutory decisions about regulatory arrangements affecting in-house lawyers. LSB approves SRA reserved activity rule change 30 January, 2016- LSB approves SRA rule change to remove the power to suspend a firm's authorisation to carry out reserved activities because of inactivity. SRA publishes consumer credit toolkit 21 January, 2016- SRA publishes a consumer credit toolkit to help firms ensure the services they deliver are compliant with the new regulatory regime.